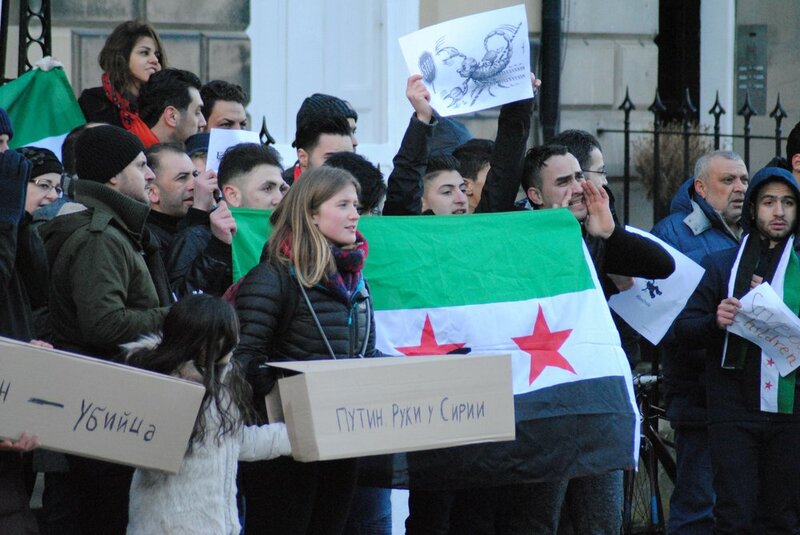 Dozens of protesters including Syrian refugees gathered outside the Russian consulate general in Edinburgh today to make a “call for humanity” against the on-going violence of the Russian-backed forces of Bashar al-Assad in Syria. 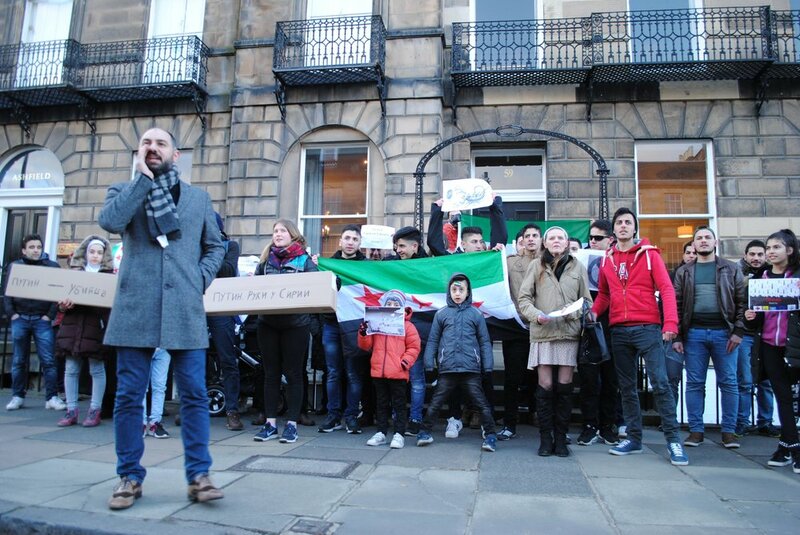 The protesters were demanding an end to airstrikes in the East Ghouta region of Syria, an opposition-held area that has been under siege since 2013 and which has been subject to an increasingly brutal assault in recent weeks, despite a United Nations call for a ceasefire. 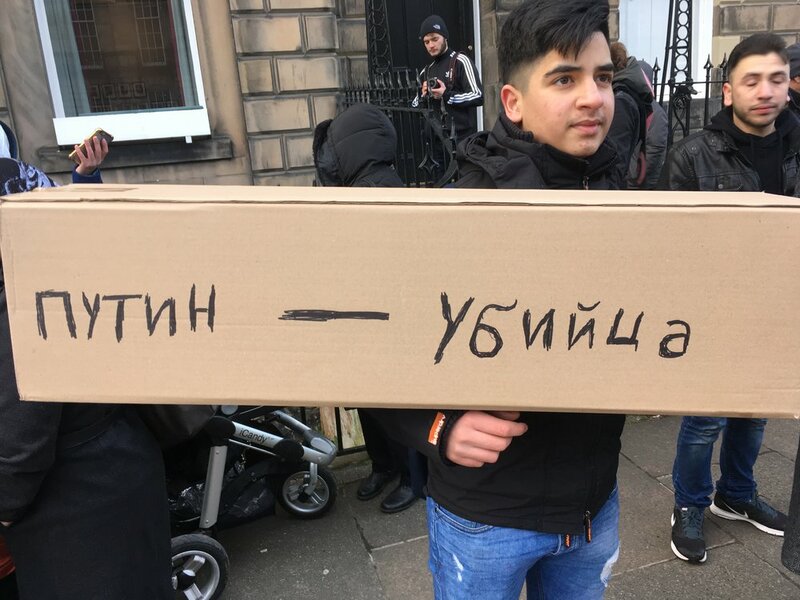 The protesters chanted “save, save Ghouta” and “Putin, hands off Syria” and held signs in Russian and English that read “Putin is a murderer”. 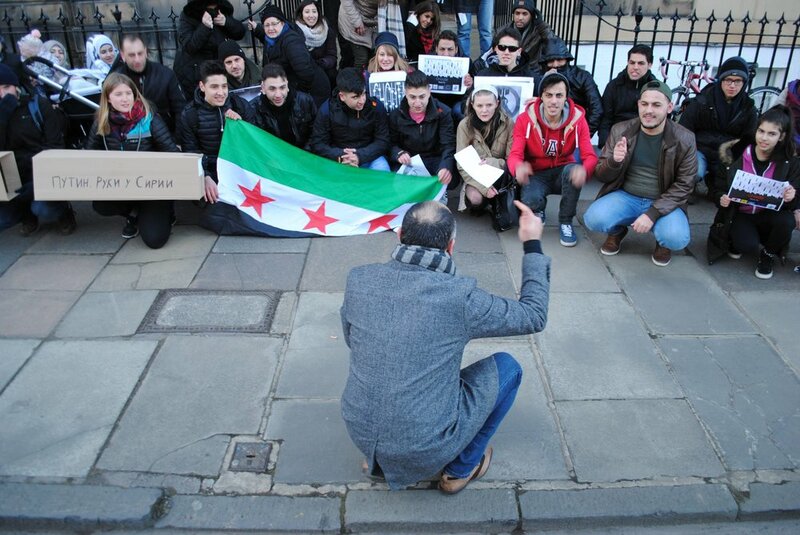 “We are here to condemn the actions and brutality of the Russian and Syrian regime troops and air forces. 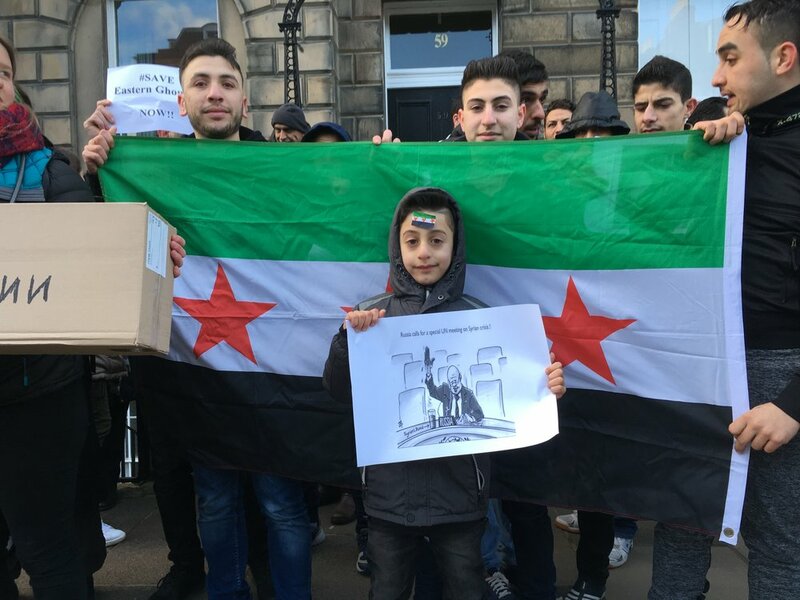 The civilian population of East Ghouta is estimated to be around 400,000. 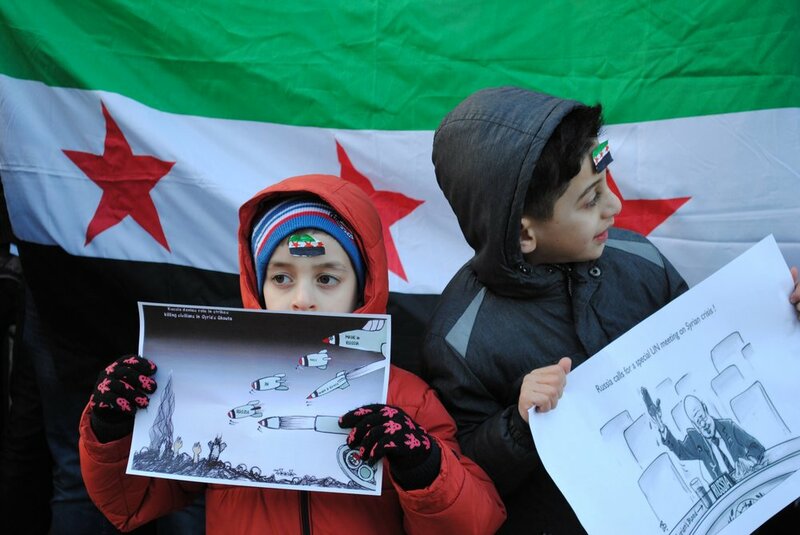 More than 500 people have been killed in the past week, many of them children. 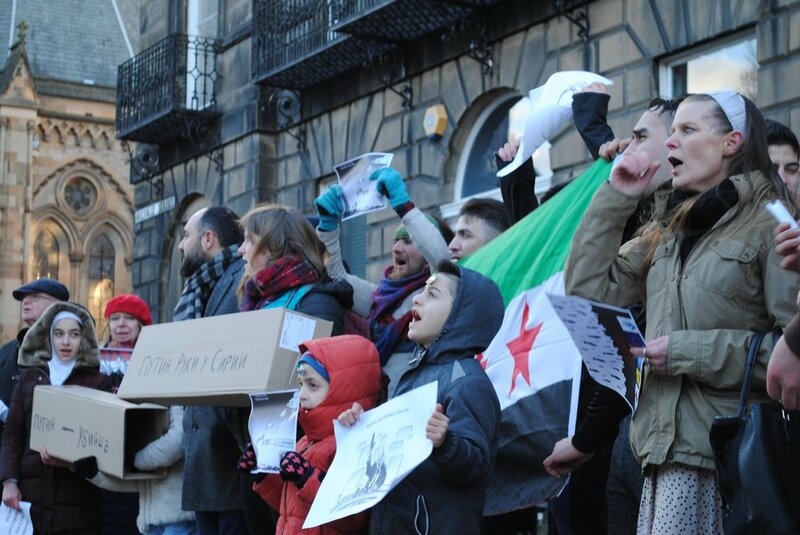 Among the protesters were families from East Ghouta who are now living as refugees in Scotland. 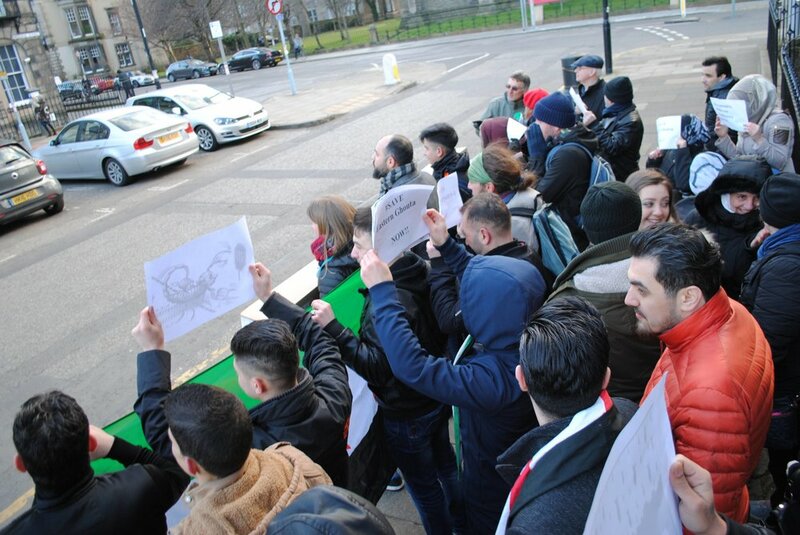 SNP politicians have spoken in support of the protesters today. 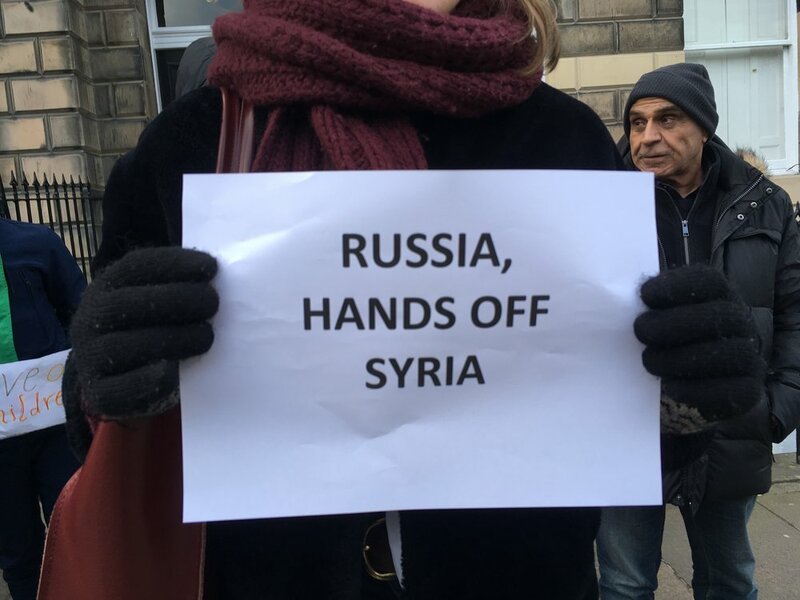 “The dreadful pictures coming out of East Ghouta demonstrate the appalling consequences of Russian and Syrian Government bombing on the civilian population caught there. The United Nations on Saturday voted in favour of a 30-day ceasefire to allow aid to reach civilians but the airstrikes have continued with reports of a chlorine gas attack in the hours immediately after the UN vote.